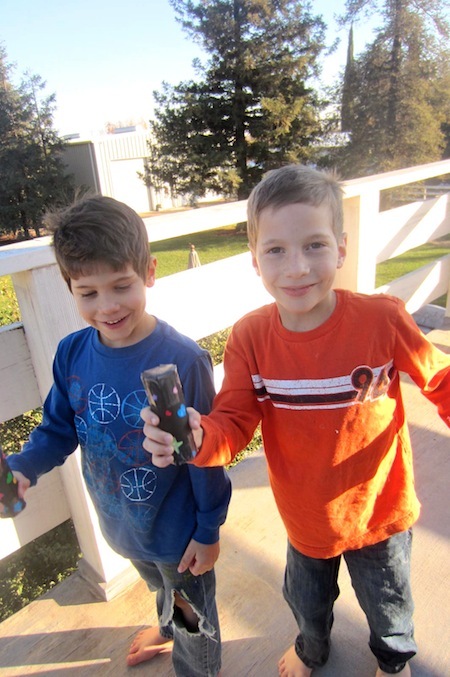 The boys made shakers from toilet paper tubes. Don't be too impressed by me; they did the project with our helper Beth. They love them! If you've hung out here for any amount of time, you know how not-crafty I am. My motto? Play dough and glitter are for Sunday School. But I'll concede at Christmas, and particularly this year when my 6-year-old is telling people that his favorite thing to do is crafts. How does that happen? How do tomboy moms get froo-froo daughters? How does a craft-averse mother get kids who like to do crafts? My friend Sarah at Sidetracked Sarah has come to my rescue, and maybe yours, too. 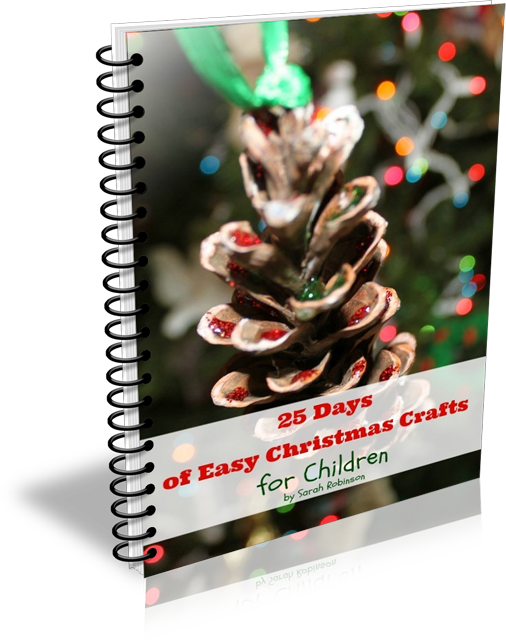 Sarah's written a handy little eBook called 25 Easy Christmas Crafts for Children and she's offering you a chance to win one of 3 copies! If you'd rather not enter and just grab a copy for yourself, the book is on sale for 3.97, plus you can get $1 off with code 1off. Contest ends on December 17th, midnight, PST.